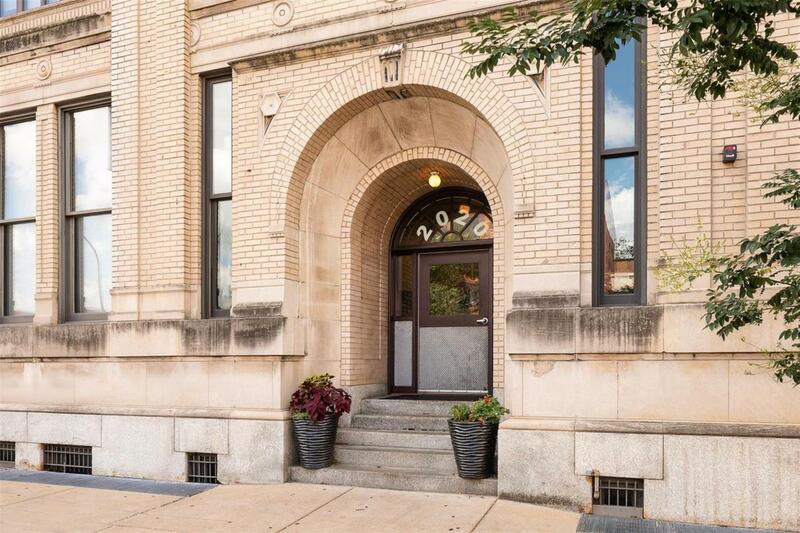 Enjoy the wall of windows overlooking Washington Ave. in this Sporting News loft. Large 1 bed/1 bath with all the Bells and Whistles. 42 cherry cabinets, granite, stainless backsplash and appliances. Your wall of windows are treated with custom, top of the line electric blinds. Bath has a custom granite double bowled vanity, stainless sinks and oversized shower head. Unit entry door has electronic keypad for ease of anyone needing access for dog walking, delivery, etc. Secure entry building via fob for entry doors and elevators. Condo association has upgraded security cameras and lighting in and around the building. Great storage in unit, awesome rooftop deck and one deeded secured parking space on surface lot, #21. Downtown living at its finest!